By train it takes 1 hour 35 minutes to travel from Bukit Mertajam to Ipoh. 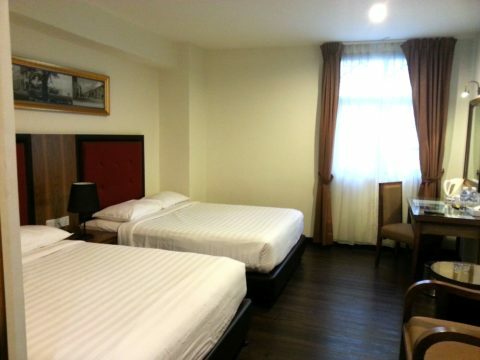 The nearest bus stations to Bukit Mertajam are in Sungai Nibong and Butterworth and take approximately 2 hours 30 minutes to travel to Ipoh. 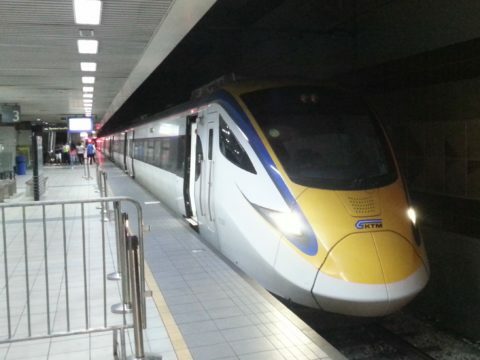 There are 5 direct train services a day from Bukit Mertajam to Ipoh. Use the Search Box below to buy your train tickets from Bukit Mertajam to Ipoh. 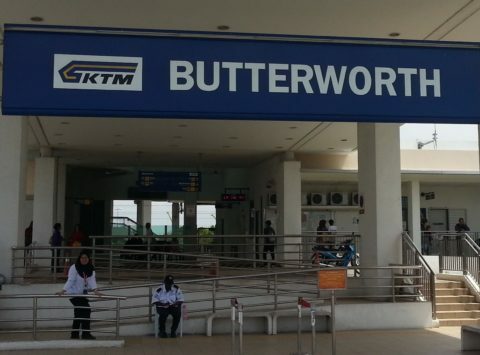 Bukit Mertajam Railway Station is located 10.6 km from Butterworth Railway Station. 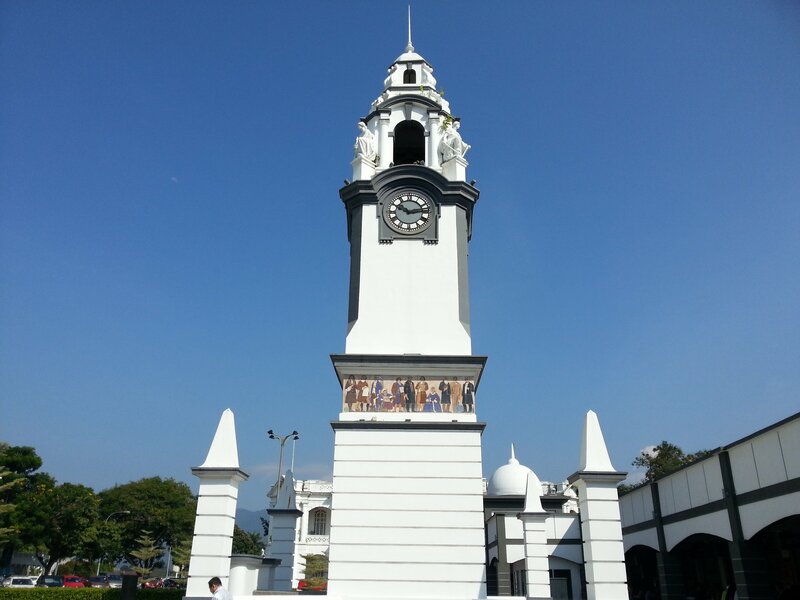 Ipoh Railway Station is located near Ipoh’s Old Town. Ipoh first came into existence as small village in the 1820s because of its location at the nighest navigable point on the Kinta River. This early village was the gateway into the sparsely populated mountain ranges beyond. Things changed dramatically in 1880s as the tin mining industry in the area grew and the village of Ipoh turned into a booming trading port with hotels, banks, residential housing, restaurants and temples appearing in what was essentially a ‘frontier’ town from which people left to work in the tin mines and sent the tin ore back through to international buyers. This flourishing industry brought with it a large number of immigrant workers, particularly Chinese people who descendants now make up around 70% pf Ipoh’s population. The British colonial government also became heavily involved in the area building a major railway station and a range of impressive municipal building. Ipoh was at the time an important part of the British Empire and the British Government invested heavily in the town’s infrastructure as a consequence. Ipoh’s fortunes dipped dramatically in the 1970s when the tin mining industry collapsed, and the Old Town was left to decay for more than 30 years. Fortunately, the Old Town area was not substantially redeveloped after the tin mining industry shut down, but instead newer building for fitting for the requirements of the modern era where built on the other side of the river in Ipoh New Town. From the start of this decade (around 2010/2011) the municipal authorities have made a very good effort in partnership with business to revitalise the Old Town area painting and plastering over 30 years of neglect and restoring the town to something like it might have looked in the 1920, albeit with the addition of lots of street murals, boutique shops and fashionable modern restaurants, of which are located in and around the historic buildings. There is something very special an unique about Ipoh which makes it well worth visiting.